Experts disagree whether it's a good idea to divide your backup into segments. Using trusted third parties only make sense if you wish to plan your estate, however, there aren't any easy or good solutions to this problem. Seed words are all-important for anyone with a cryptocurrency wallet. A collection of 12 or 24 randomly chosen words, they enable cryptocurrency owners to regain access to their hardware or software wallets, even if they've lost these wallets or lost their passwords. They are, in other words, an absolute lifeline. However, in some cases, cryptocurrency owners can lose their seed words, preventing them from ever accessing their stashes of Bitcoin, Ethereum or other cryptocurrency ever again. Luckily, there are a number of ways you can minimize the chances of losing your seed words. As the following cryptocurrency experts reveal, these range from the simple to the more complex, with all of them having an important role to play in keeping you in control of your coins. Crypto-security experts highly recommend that you don't keep your seed words on your computer, since the latter can be accessed by hackers. Instead, you should make a hard copy of your seed, which should be kept in a secure location to which only you can access. "There are two main rules to keep your seed secure," Dita Eckhardtová, head of marketing at Satoshi Labs, the manufacturer of the Trezor hardware wallet, tells Cryptonews.com. "First: Do not make a digital copy of the seed. Never ever. This is the the most important rule. 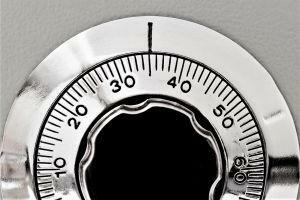 Second: Keep your paper copy in a safe place where you and only you have access." However, the chief information security officer of ShapeShift, Michael Perklin, warns Cryptonews.com that you shouldn't actually make this hard copy using paper, which is notoriously fragile and impermanent. 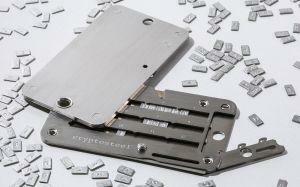 "Truly, the best way to store seed words that can survive anything is to etch them in steel," he says. "Paper can burn in a fire, and ink can run/disappear in a flood, provided the paper even survives the water. But steel can endure high temperatures, is impervious to floods, and will ensure you are able to read the words after retrieving the metal from the wet charred remains of a firefighter-extinguished house fire." Eric Larchevêque, CEO of hardware wallet manufacturer Ledger, agrees with this advice, noting that “It is best practice to store your words using a fire and water resistant device such as the Ledger Eternity." As Larchevêque adds, the Ledger Eternity is an "upcoming security backup system." 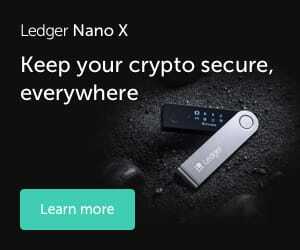 Ledger has published few details about it, although a registered EU trademark reveals that it's a "Fluid-resistant, fireproof and impact-resistant goods of metal for the secure storage of alphanumeric data or passwords." In other words, it's much like the Trezor Cryptosteel and products like it. These provide you with a durable metal backup of your seed word, one which is "resistant to various sorts of physical damages, including fire, flooding, corrosive conditions, and impacts from accidents" (as Trezor writes on its website). Are three places better than one? So a paper backup is safer than a digital record, while a metal backup is safer than its paper counterpart. However, Eric Larchevêque also points out that it may be a good idea to divide your backup into segments and place these in separate locations. "The safety of keeping all words in one place hinges on the place itself," he explains. "However, it can be a good idea to scatter words. For instance, our devices include 3 recovery sheets, allowing to 'split' the recovery phrases in 3 segments, write down 2 segments per sheet, and keep the 3 sheets separate (segments 1-2 in secure location A, segments 2-3 in secure location B, segment 1-3 in secure location C)." That said, other security experts advise against fragmentation. "You should never separate and scatter seed words!" exclaims Michael Perklin, who thinks it would actually make it easier for someone who finds one fragment to hack the rest. "You actually decrease security by making it easier to crack/guess the other missing piece," he explains. "When dividing a 12-word seed into two 6-word seeds, it may seem like you’re multiplying the security, but in reality you’re dividing it. This makes it possible for someone who has one 'half' of your seed to identify the other half of your seed in a mere number of days instead of how long it would normally take." The recent (and mysterious) death of QuadrigaCX CEO Gerald Cotten underlines the risks of keeping your seed word solely to yourself. However, there is no clear method for entrusting seed words to third parties, or at least none that has received unanimous endorsement from the cryptocurrency community. "Using trusted third parties only make sense if you wish to plan your estate," says Eric Larchevêque. "Right now, there aren't any easy or good solutions to this problem. Legacy trusted parties (such as notaries) are not yet ready to handle papers that act as bearer bonds. As it is a universal problem, we may however see solutions in the future." Yet beyond preparing for your own death, most experts advise against entrusting seed words to a third party. "Never trust anybody other than yourself," says Dita Eckhardtová. "As the famous saying goes, 'Not your keys, not your bitcoin'." "Not your keys, not your coins!" he repeats. "Blockchains provide us financial sovereignty in that we do not need to trust third parties to keep our funds safe." "While it’s definitely a paradigm shift that requires people to educate themselves about keys, seeds, and other new concepts, once you have the knowledge it is always better to trust yourself than trusting someone else." The Paper Wallet Debate: Are They Safer or Riskier than Other Wallets?